Dang, it's been a full year already??? The Essex County Trail Association exists to protect access to the trails and open lands throughout Hamilton, Wenham, Ipswich, Topsfield, Essex and West Newbury. ECTA partners with both public and private landowners to ensure that the experience of open trails is positive for them as well as the trail users. 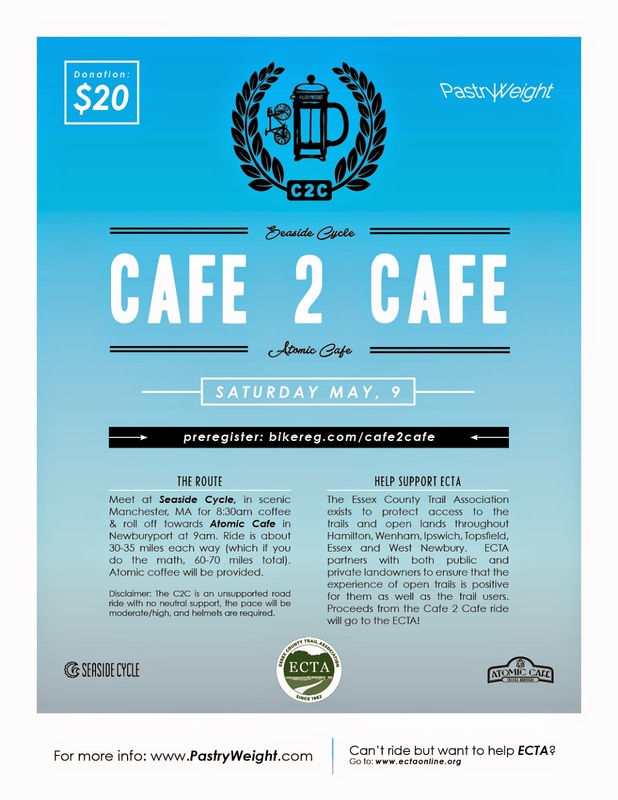 Proceeds from the C2C will go directly to the ECTA to aid in maintenance of our wonderful NorthShore trails! Non-supported: The C2C is an unsupported road ride with no neutral support, the pace will be moderate/high, and helmets are required. There will be no sag-wagon. Though this intended as a FUN ground ride, please bring a cell phone and/or GPS device in the event that you find yourself being unable to complete the route or unable to maintain pace with the rest of the group. If you forget any essential road items (tubes, CO2, gels, etc) Seaside Cycle will have them available for purchase.